New Attilan faces off against Ennilux over Iso and Lineage finally makes his move. The Nuhumans get put to the test defending New Attilan. They get some help from an unexpected place. 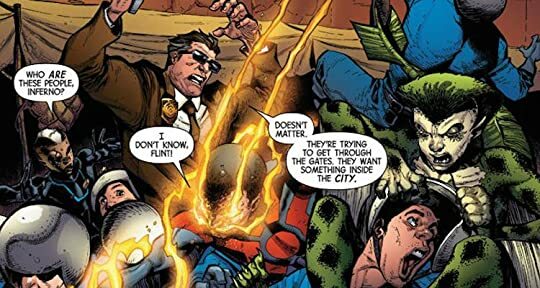 I really like the Nuhumans along with the new Inhumans created for the series. The new characters are quite a diverse cast. 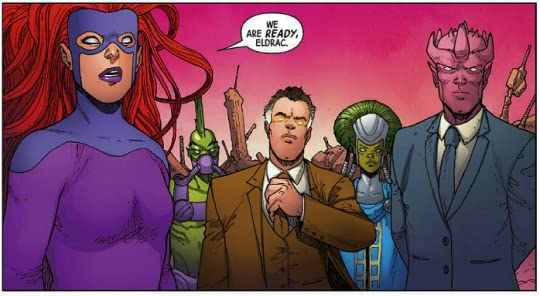 They broke the old mold for Inhumans all being part of Attilan and following Black Bolt and the Royal Family. Looks aren't everything, but perhaps it's best to be more skeptical of a guy who looks like the devil. Lineage always seemed as though he was up to more than he was saying and in this volume he proved that. All the Nuhumans got some attention in this volume and they are an interesting bunch. Mixing them in with the Royal Family has been positive overall. 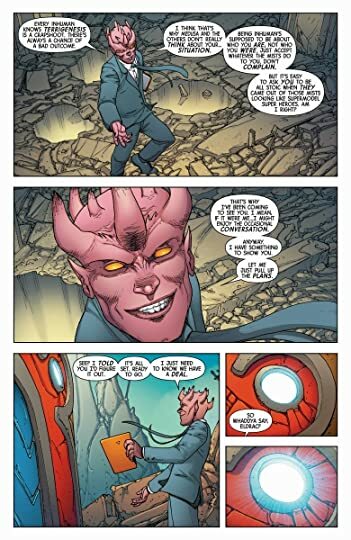 I think Inhuman was a good start, but they need to make a lot more Nuhumans to even come close to being a viable MCU replacement for mutants. 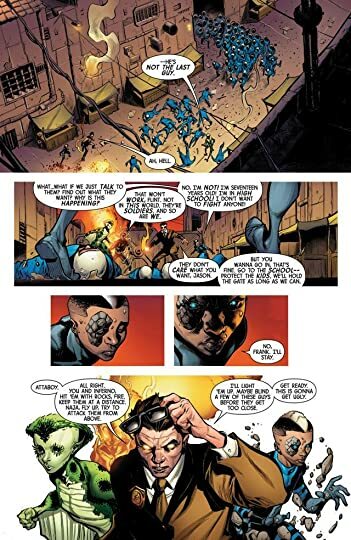 The effort put into strengthening the Inhuman brand is already paying off and I'm looking forward to the Inhumans future.